Regardless of what HubSpot tools you use, contact records are at the heart of what you do. These records have properties that hold everything you know about your prospects, leads, and customers. Some of this information is basic stuff, like names and phone numbers. But chances are there are things you need to store on your contact records that doesn't fit into these basic, standard properties. Where do you put that information? A custom property is a property that you create to meet your unique needs. Once you create a custom contact property, it becomes available on every contact record in your CRM. You can also create custom properties for companies and deals. Creating custom properties is key to tailoring the CRM to meet the needs of your business. So what properties should you create? That depends entirely on your business, but here's an example to help you think up some ideas. This is Bob. He's a sales rep at the fictional landscaping company Groundskeeper, Inc. He sells landscaping services to small property management companies. During the prospecting phase of his sales process, Bob measures the size of a prospective client by the number of properties they manage. 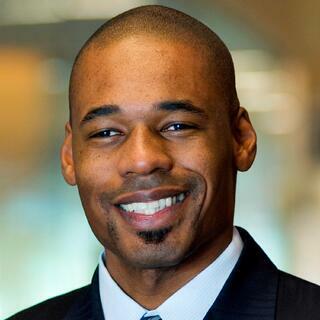 He also likes to segment prospective clients based on whether they manage residential properties, commercial properties, or both. Out of the box, HubSpot CRM doesn't have anywhere to store this kind of information, so Bob is creating custom properties. This is a custom property on the company record. Bob is going to use it to store the number of properties a management company manages. He's given the property a clear name and a short description. Now he's selecting the field type, and he's a little stumped because what the heck is a "field type" anyway? 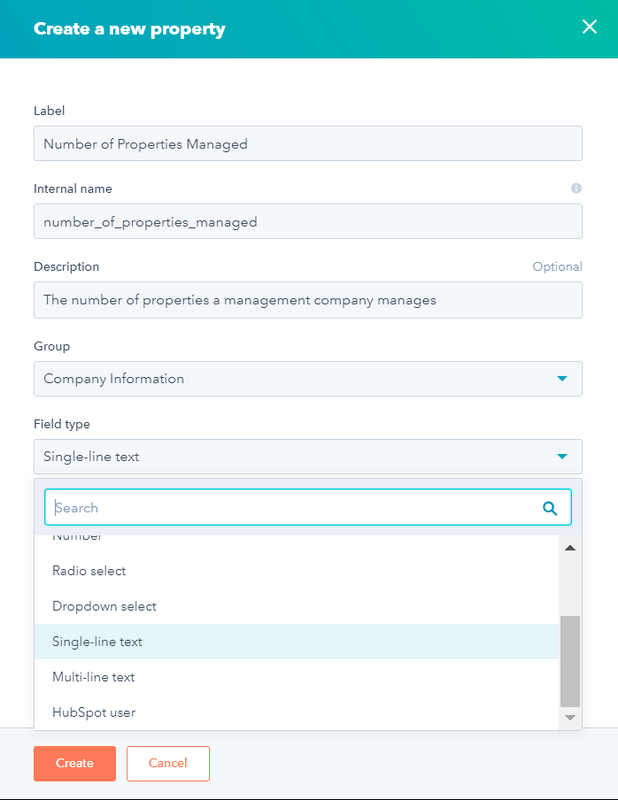 Whenever you create a custom property, you need to select a field type. Every field type has a superpower--one thing that it's really, really good at. Right now Bob is hovering over the "single-line text" field type, which is the default for new custom properties. Single-line text's super power is that it can hold anything. The standard properties "First Name" and "Last Name" are single-line text properties--you can put anything in there, and those properties will store it. Doesn't matter if you're working with an international audience that uses a different alphabet than what you're used to--drop it in a single-line text property, and it'll do fine. But in general, you want to avoid making single-line text properties. In the context of names, that makes sense. For instance, if you're searching for me in your CRM, you want your search results to only contain exact matches for first name Kyle, last name Jepson. Perfect. But think about the property Bob is creating. He's going to use "Number of Properties Managed" to measure the size of companies. Chances are, he's going to want to search for companies that are above or below a certain size--maybe both at the same time. Luckily, single-line text isn't the only field type. There's also a number field type, which would be just perfect for what Bob's creating. Number properties are more limited that single-line text properties in that they only accept numeric values, but this limitation gives them a superpower of their own: When you filter your records using a number property, you can search using "greater than," "less than," or "between." Now that Bob has a way to filter his records by the number of properties they manage, he also wants to be able to segment on the type of properties they manage. The landscaping needs of a single-family home are very different from the needs of an industrial park. Once again, Bob might be tempted to use a single-line text field. Once again, that would be a bad idea. Even if he committed to being super consistent with labeling companies as either "residential" or "commercial," there's the possibility that he might make a typo. And as he scales and hires more salespeople, someone might start abbreviating or using a different labeling convention, making Groundskeeper's CRM a disorganized mess. Anytime you have a set list of options you want to select from, you want to create either a dropdown select or a multiple checkboxes property. In both cases, when you create the property, you'll define a finite list of options to select from. The properties on individual records will then only allow those options. So what's the difference between a dropdown select property and a multiple checkboxes property? Dropdown select only allows one option to be selected at a time. A multiple checkboxes property can hold multiple values at one time. So if Bob makes this property a dropdown select, he will only be able to select "residential" or "commercial," not both. But Bob knows that some of his existing clients have a mixed portfolio of residential and commercial properties, so he decides to make a multiple checkboxes property. Now, Bob could have made a dropdown select property with three options: "residential," "commercial," and "both." But ultimately he's going to have more flexibility by creating a multiple checkboxes property with just two options. This way, if he's looking for companies that have residential properties, he can search for properties have have "residential" selected, and he'll see them regardless of whether they have only residential properties or a mixed portfolio. Bob is now on fire with the idea of creating custom properties and decides to create a few more. Often during the sales process, Bob will need to visit a location to give a quote. Knowing the date this visit occurs is helpful in two ways: 1) When a scheduled visit is coming up, Bob likes to reach out and confirm details, and 2) after a visit occurs, Bob likes to follow up to help the deal move forward. So Bob wants to create a "Date of Visit" property. And as you may have guessed, a single-line text field is a bad way to do it. In fact, HubSpot CRM includes a date field type. Similar to number properties, date properties can be filtered for "before," "after," and "between." So Bob created this property, and he's off and running. Now Bob's thinking deeply about the nuances of his sales process. He knows his leads are assigned to him using the HubSpot Owner property, but before a deal closes and a contract is signed, he likes to introduce prospective clients to the account manager that will be working with them post-sale. He would like to have a way to assign an account manager before the deal closes, but he wants to keep his name in the HubSpot Owner property as long as the sale is still in progress. What should he do? 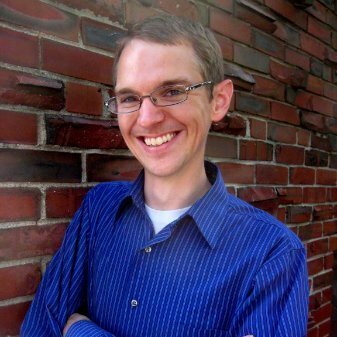 This will be another custom property, and this time Bob will use the HubSpot user field type. HubSpot user properties automatically populate with a list of active users in your account. So if Bob creates a HubSpot user property called Account Manager, then he'll be able to select the appropriate teammate from a dropdown list. We've now covered all but three of the field types. We've also only talked about ways you might use properties as part of your internal processes. But properties serve an important outward facing function as well: They serve as the fields in the HubSpot forms you place on your website. 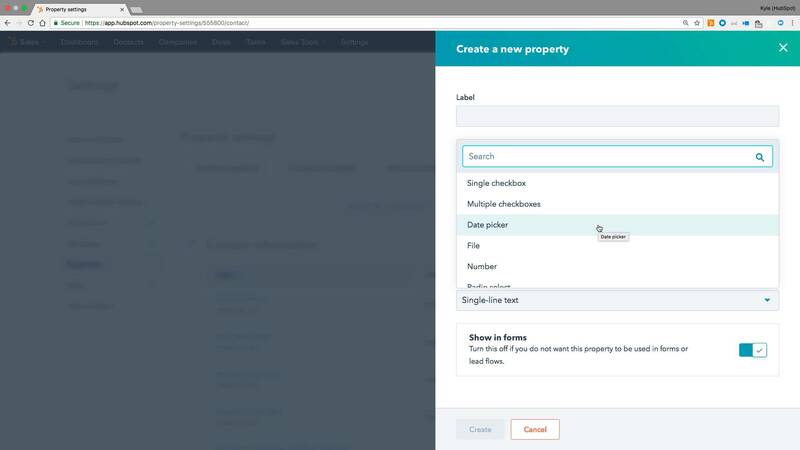 Radio select - Inside of HubSpot CRM, radio select properties function exactly like dropdown select properties: There's a set list of options, and you can only select one. But on your forms, radio select properties use radio buttons, while dropdown select uses a dropdown list. So the difference between radio select and dropdown select is all about the experience you want people to have if you present this property as a form field. Multi-line text - Inside of HubSpot CRM, multi-line and single-line text properties look very much alike, but they have one slight difference in the way they function: Multi-line text properties can store line breaks; single-line text properties only allow a single line of text. On forms, the two properties look different: A single-line text property is a single line on a form; a multi-line text property is a textbox, which in most browsers can be resized by the user. Single checkbox - Single checkbox properties essentially hold true/false values. Inside of HubSpot CRM, you can set the value to Yes or No. On forms, they appear as a single checkbox that the visitor can either check or leave unchecked. Most often, these sorts of properties are used for people to assert that they agree to the terms of service or to opt into some form of contact etc. And now you know everything you need to know about custom properties. There's a lesser-known superpower that text properties (single-line and multi-line) have, and that has to do with the way you can filter your records. And now you really know everything there is to know about custom properties. Congrats!